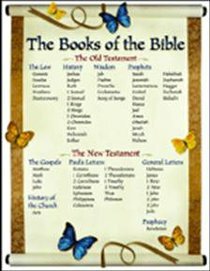 These large A2 posters list the names of all the books of the Bible, from Genesis to Revelation, for easy display. On the back are four different activity ideas in reproducible A4 format, designed to help familiarise children with this important aspect of Bible learning. About "The Books of the Bible Chartlet Activity Poster"